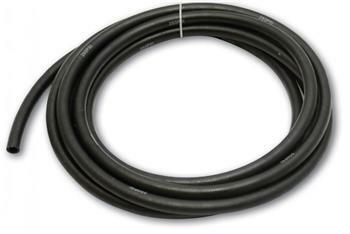 For use with Vibrant Performance Push-On Style Hose End Fitting. Available only in black. These rubber hoses are suitable for use with oil, water, coolant and methanol and are capable of handling operating temperatures ranging from -40 deg F to 210 deg F and operating pressures up to 300psi. Use of a clamp to secure the hose to a fitting is recommended whenever consistent operating temperature exceeds 150 deg F.